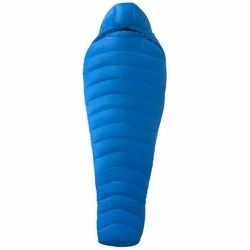 Marmot Helium 15 Sleeping Bag. Remarkably light and compact, the Helium delivers impressive insulation. Use it as a three-plus season bag to substantially reduce your load while backpacking and mountaineering. New features, like a curved baffle design that reduces the shifting of down, increase the comfort on this 800-fill-power goose down bag.